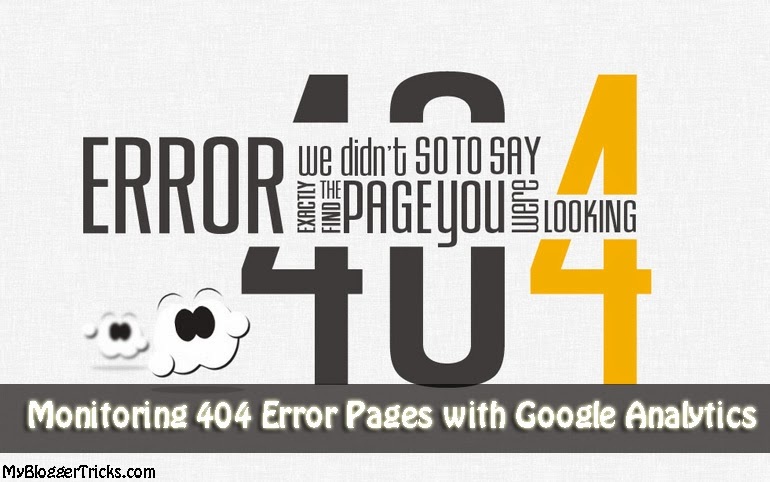 How To Analyse Website 404 Error Pages With Google Analytics? 404 or Not Found Error pages are very common, especially since the content on the internet is being changed all the time. Websites are migrated, new themes and templates are deployed and old ones discarded, low-quality content from the past is deleted, URLs are removed, and so on. 404s occur a lot, and they reflect on a site's user-experience, and how much effort has been put into it. In this post, I'll talk about how best to deal with these pages so as to improve your site's user-experience, and the general SEO. How to set up an error page? How you set up your error pages is very important. It's not merely a question of putting up something as a contingency plan, just in case a link is broken. It's about how to deal with a disappointed visitor. Although there is no hard-and-fast rule for this kind of this, it is generally agreed that a 404 error page should have the following. We've discussed at length about setting up effective 404 error page. I'd recommend this article for Blogger users on the subject. Or if you're more of a WordPress guy, check out this genesis tutorial. You might also find the following extremely useful. Settings for Blogger 404 Error Page, Redirects and Meta Tags! How to monitor your 404 traffic? 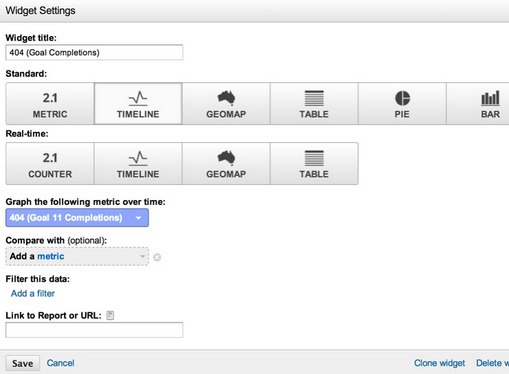 In Google Analytics, you can add content reports for almost everything right on your dashboard. So adding a 404 report should be one of the first things that you do. It will allow you to constantly monitor the trend of visits to your 404 page(s). It might also help to get notified as soon as a 404 happens on your site, so that a timely action can be taken. We've written a detailed and useful tutorial on how to set up alerts for 404 error pages in Google Analytics. Be sure to check it out! Now that we have found 404 pages, what should be done about them? While reading this section, think of helping out the users who have landed on these pages, and need guidance in finding their desired content. 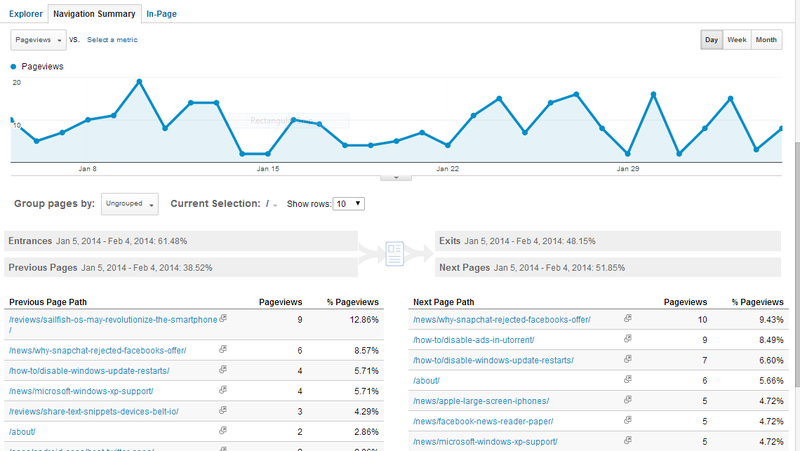 The Navigation Summary Report will help you in understanding where did visitors come from from inside your site, i.e. it will tell you which pages contain internal broken links. You will also be able to understand what is the percentage of visitors that arrive to the 404 page from internal and external sources; the internal sources will be listed on this report. You can find this report by going to Google Analytics, and then from the left sidebar, clicking on Behaviour >> Site Content >> All Pages, and then finding the Navigation Summary tab on the right above the chart. Learning which URLs are producing the errors is a great way to get rid of them. If you learn, for example, that 100 visitors a day get an error when they visit the page “/aboutS” you can infer that there is a broken link leading to it; sometimes it might not be possible to find the source of the error to fix the link, but you can add a redirect from that page to “/about”, which looks to be the right page. In order to do that you will need to find the report below. Most CMS (Wordpress, Drupal, and others) will return an error for non-existing pages on the actual content section, but they will keep the original URL; however, they will have a page title with the word 404 in it. So check your site to know if that is the case before you try the report below. Once you find this report, click on the first entry and you will get a list of all the URLs that triggered an error page. Google analytics is a powerful tool. It requires good information to use it properly. Now this one is really a helpful post. Keep the good work on. Welcome to Mr. 404, who of you have not met with him?